Do stone and bug deflectors actually work? Feeling skeptical regarding their effectiveness is completely understandable. One look at these things will probably leave you wondering how one small piece of plastic can protect your hood and windshield from insectoid splatter and kicked up rocks, stones and other road debris. After all, it’s not like the deflector actually covers your entire hood and windshield. But, what if it didn’t have to? The answer to the question posed in the first sentence, is a resounding yes! Stone and bug deflectors work by altering the actual aerodynamics of your vehicle. The strip of acrylic that attaches to the front of your vehicle creates an upstream of air in front of your vehicle as you drive. This upstream sweeps bugs, small rocks, and other debris up and over your vehicle. 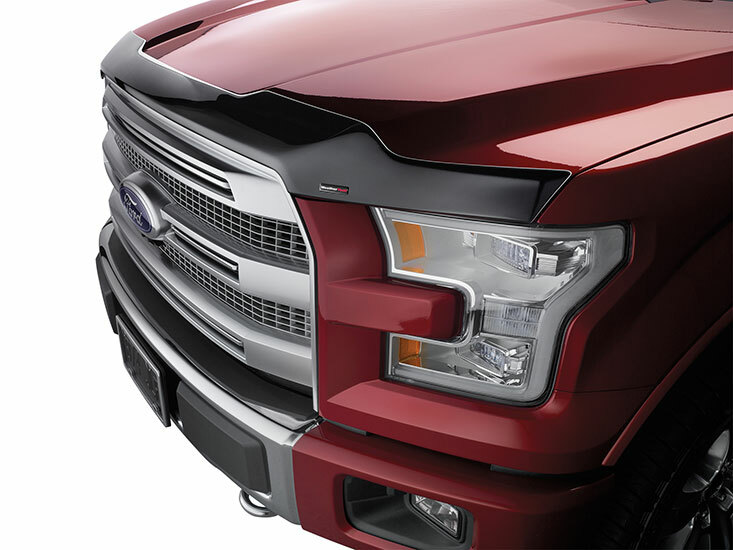 While the deflector won’t be able to turn everything away from your hood and windshield, it will make sure that most debris won’t even touch your vehicle. WeatherTech offers a couple different options when it comes to these kinds of products. Keep reading below to learn the differences between the Hood Protector and the Stone and Bug Deflector. 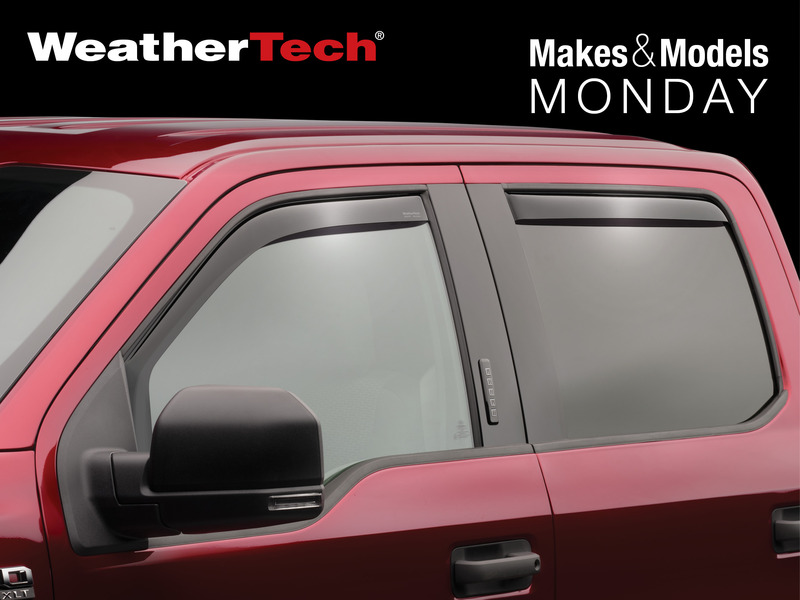 The WeatherTech Stone and Bug Deflector is made from an aerospace-grade acrylic, so it is virtually indestructible! Which is great news since it’s going to take a beating from all the rocks, stones and other road debris. 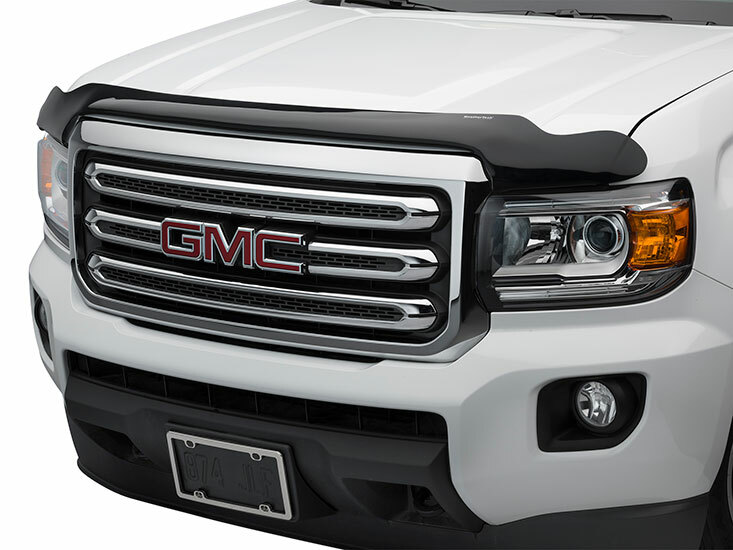 This deflector is custom fit for specific makes and models, and protects your vehicle’s hood and windshield from bug splatter, chips, dings and dents. Stone and Bug Deflectors are designed to easily attach to most vehicles, using either a 3M brand automotive adhesive tape or fasteners that use the existing holes in your vehicle’s hood. The sleek and stylish WeatherTech Hood Protector is made from a heavy-duty, flexible acrylic material that withstands all the wear-and-tear from daily driving. 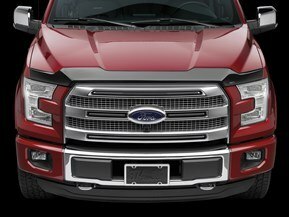 Featuring a custom-fit design, the Hood Protector fits flush against your vehicle; following the contours of your vehicle’s hood. This gives this product a polished and classy look. 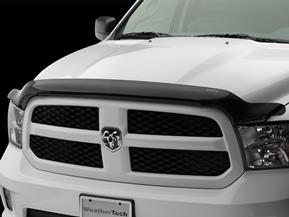 Don’t let the low-profile design fool you, Hood Protector isn’t just for show. The WeatherTech Hood Protector helps create a barrier against bugs and debris protecting your vehicle’s finish and paint. This will minimize any scratches, scrapes, dings and dents your vehicle’s front end may sustain during your travels. Mounts onto your vehicle’s hood quickly and easily using super strong 3M brand automotive tape. No need for drilling or complicated mounting procedures. These products will both protect your vehicle’s front end against all kinds of road debris and insect dive-bombers. If you find yourself frequently on the road, a deflector is definitely a worthwhile investment. Not to mention, both products are easy to install, include WeatherTech’s Lifetime Limited Warranty, and they’re both made in the USA!